This is a the SWorkz +5.6mm S350T Series BBS Pro Shock System Set for use on the rear of the S350T Truggy. 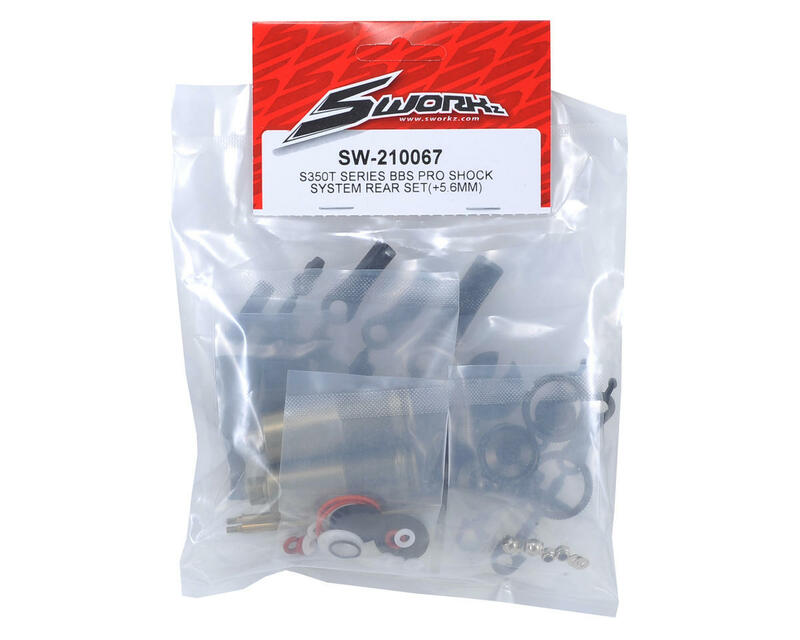 These shocks have been designed for use with US style tracks. These are also the shocks that come included with the S350T "US Edition" Truggy Kit. 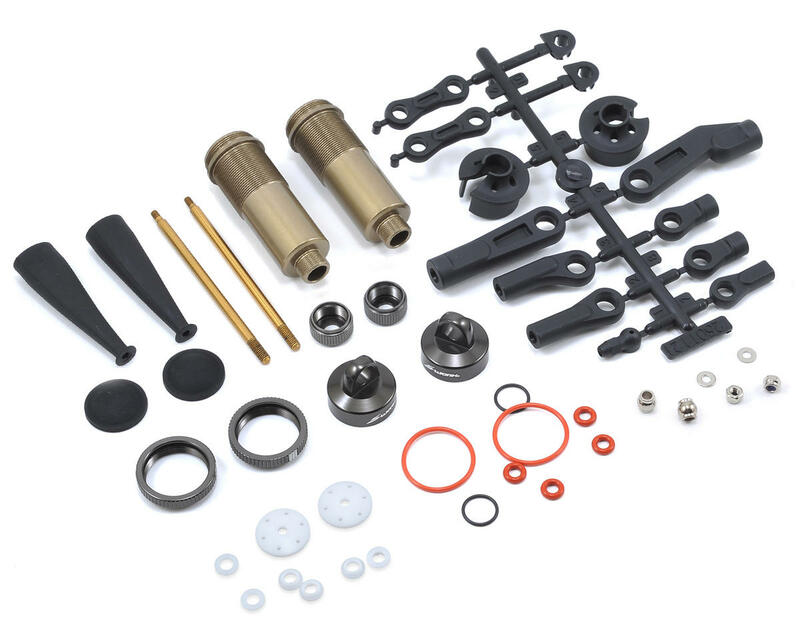 This set includes the necessary parts to assemble two complete shocks, minus springs and oil.